Super Adventure Island (Super NES, 800pts) — Unofficial Hudson mascot Mr Higgins returns in the first Super NES entry in the Adventure Island series, skateboarding and axe-throwing his way through another danger-packed adventure. Look out for our review coming soon. Remote Racers (QubicGames, 500pts) — Sadly this game couldn't live up to QubicGames' other output, the very enjoyable AiRace and AiRace Tunnel. Read through our Remote Racers review to see where it stalls. Successfully Learning English — Year 4 (Tivola, 500pts) — Our English gud. We review game in next week. You read review. Everybody all be happy. Get the rundown on the latest Nintendo DSiWare and Virtual Console available for download this Friday! 9th May 2011: Are you ready to take on Master Higgins’ greatest adventure yet? In Super Adventure Island on Virtual Console this week, Master Higgins must rescue Jeanie Jungle by venturing into the mysterious Dark Cloak’s castle at the foot of Ice Mountain. Get set for fast paced, petrol fueled fun when Remote Racers comes to Nintendo DSiWare this week as you race in a choice of eight vehicles across a number of wild terrains. If you need help to get your tongue around those tricky words, Freddie the helpful little vampire friend is ready to lend a hand in Successfully Learning: English Year 2, also on Nintendo DSiWare. Master Higgins is back for more axe-chucking, skateboard-riding adventures. Adventure Island is a mysterious and beautiful land that has many hidden dangers. As hero of the island, Master Higgins protects its inhabitants from many deadly creatures. He has restored peace to the uncharted island on many occasions. But something terrible has happened. While Master Higgins and Jeanie Jungle were stargazing, a dangerous entity known only as Dark Cloak turned Jeanie to stone. Master Higgins must venture towards Dark Cloak’s castle at the foot of Ice Mountain to rescue her. Get ready to burn rubber in Remote Racers. Select one of eight vehicles; Speeder, Monster, Candy, Dozer, Tank, Stunt, Mantis or Rocket as you race against time or challenge the AI around 15 different tracks. Jump in the garden, drift through the cellar, ride on the beach or dive in the ocean while using power-ups and transforming your vehicle to gain advantage over your opponents. There are over 30 challenges to complete in eight championships, so start your engines and have some fun! In Successfully Learning: English Year 4, your task is to complete a range of exciting exercises which will help you to learn English in a playful way. Along the way you’ll be aided by a little vampire friend, Freddy, who will motivate you and offer helpful tips and advice. Well, at least they got a VC game. 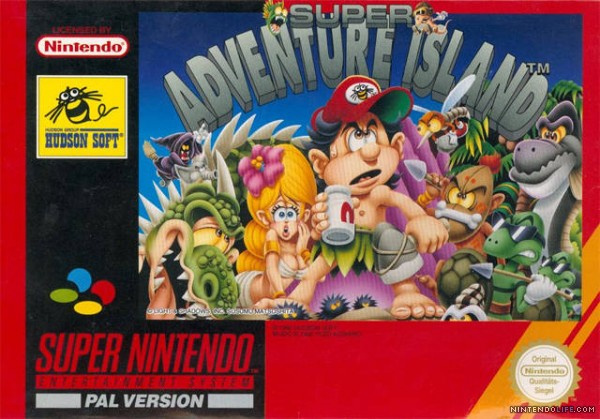 Super Adventure Island is my personal favorite in the entire series and definately a game worth checking out if you're a fan of platformers. Can't wait to get this in the states! We get one every two weeks, just like you do. Its like clockwork for both of us. Oh GOD! Not another Adventure Island game!! How many of these things are there?? @Sigourneybeaver I'm not into the series either but they seem better than the likes of brawl brothers and the ignition factor. Might get Super Adventure Island somewhere along the road, but there is nothing otherwise. Come on Nintendo. There's two more on the NES (AI4 was Japan only) and another one on the SNES. So why aren't they releasing AI3? I guess they're trying ot mix things up a bit. Hey James Newton, I'm pretty sure the long awaited return of Master Higgins happened last month with the release of Adventure Island II. Not that I'm complaining about this one getting released. I was hoping it would as I love it's soundtrack. ha the pic looks funny! I can't wait to download this tomorrow, it was one of the first games I got for my Super Nintendo along with Super Mario World. I never managed to complete back in the early 90's so looking forward to having another shot at it. Rubbish we want Mega Man X and Chrono Tiger like the US it's not fair! Bet we have to wait ages for them, i don't want any more Adventure Island games. We've been holding FFIII ransom though. Isn't that enough? If you enjoy disappointment, then you'll love Remote Racers! 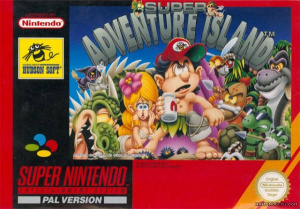 Super adventure island is out in Europe now for the VC?! I'll download it in a couple of minutes then! Yes, Happy Birthday to me! 21 again! (for the 8th time!) At least I didn't have just DSiWare released on my birthday, but a classic SNES game as well! Hopefully long gone, never to be seen again, Omega. I might get Super Adventure Island, but I'm more looking forward to Megaman X and also Chrono Trigger, so might give this a pass. The SNES is making great progress on the VC lately, and that's a great thing! @Vinsanity. Ye I also wish Nintendo would get their act together and start releasing games simultaneously worldwide on the VC. I'm still waiting for them to release Axelay here, which you Americans have had for ages on the VC. I can see this also becoming a problem on the 3DS e-shop too. Nintendo should start listening to there fans, as this is the kind of stuff which isn,t helping them at all and making everyone else frustrated. Come on Nintendo get your act together!! Come on Nintendo get your act together!! Axelay isn't on the VC in Europe because Konami doesn't want it on the VC in Europe. For whatever reason. Probably something lame. Thats not Nintendo's fault. I have downloaded Super adventure island. It's not bad, but the controls feel extremely sluggish! @Bass_X0 I might have got it wrong but I thought developers like Konami and etc gave the rights to Nintendo to publish their old SNES games like Axelay in which ever regions on the VC they saw fit. Like the upcoming release in Europe of Chrono Trigger on the VC, it was Nintendo who released a statement saying "Nintendo" would be releasing the game on the VC in Europe and not SquareEnix. So that to me sounds like Nintendo has the decision in which games get released in certain regions and not the original game developers, so if that is the case like I said earlier, Nitendo need to get their act together! If Konami has a game and hasn't given it to Nintendo then there's nothing Nintendo can do to get it. If Konami gave Nintendo the game to put on the VC and Nintendo won't do it then its Nintendo's fault. I believe whats happening is the first one. Nintendo can be slow though. We know of several games that have been submitted ages ago that have still yet to appear on the VC. Lets take for example Mega Man X2. A game thats not on the radar for being released yet. Nintendo has to wait for Capcom to decide to submit it to them. Nintendo cannot just decide one day that they want to release Mega Man X2 without Capcom's involvement despite Mega Man X1 already being on the VC. Having the rights to release one game does not give Nintendo the rights to all that company's games. Each game requires their own right. Hence the ESRB. Nintendo may decide to publish another company's games for them from time to time like Chrono Trigger in Europe but they won't do so out of the goodness of their hearts. Chrono Trigger is going to be quite popular in Europe and therefore incredibly profitable. They won't care for a little game like Axelay. So like I said, what is it that Nintendo needs to get their act together to do? Release games faster? But then they would run out quicker. One game every two weeks is about right; its not as great as it used to be but under the circumstances, its acceptable. Go around asking for games to be released? They've done that but only for big name highly profitable titles like Goldeneye 007 (and they were turned down). I'm unsure if you know this, but Axelay is available on the Australian and New Zealand server. (And it's the only VC game that's "exclusive" to us... hm.) If you change your region to one of these and have a credit/debit card to use, you can download it. It'll cost a bit more than usual due to the exchange rates, but it's a quick way for you to get it. Thanks for the heads up on that, I will try this when I get back home later.